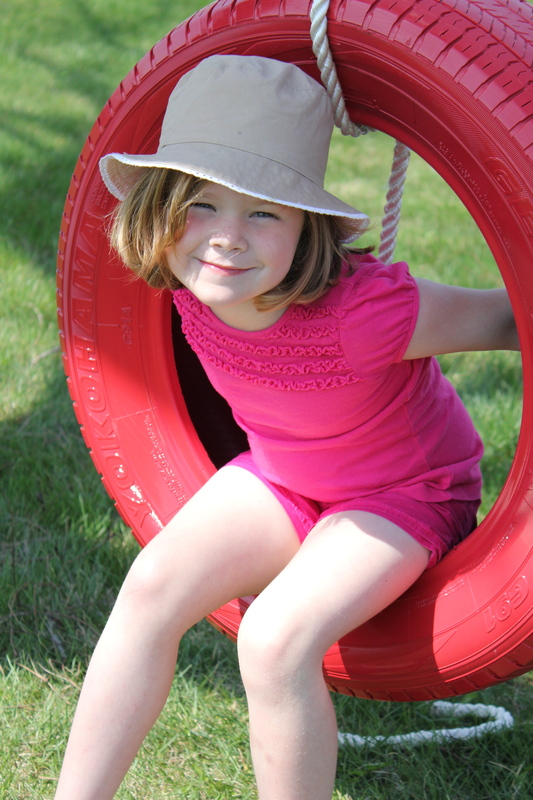 An iconic image of lazy summer afternoons, a simpler time and the carefree days of youth…the tire swing. A few months ago I was watching a little TV and saw a commercial about tractors, of all things, that had a tire swing in the way, way, way background. It is a mighty miracle I caught this image because for one thing I don’t do commercials and for another, it was really tiny. But saw it I did and I was inspired. I have always wanted a tire swing and when we moved out to the ‘country’ a few years ago I just knew our property wouldn’t be complete without one. And who knew a tractor commercial would be the thing that finally got this dream of mine in motion? God Bless Beau! 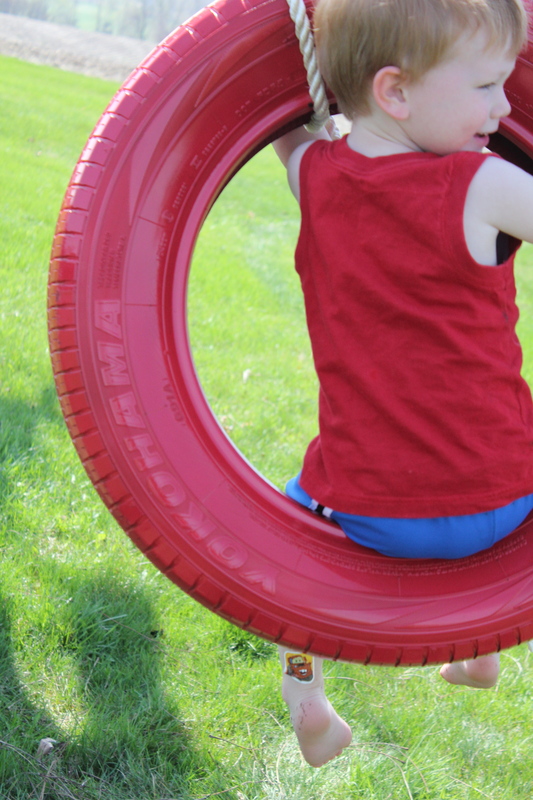 After seeing the commercial and my over-the-top excitement about tire swings that followed, he surprised me a few weeks later with an old, dirty tire. 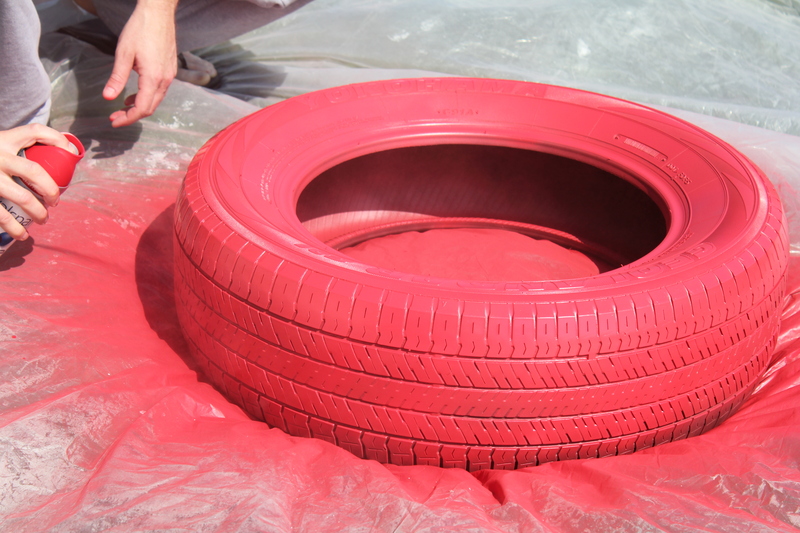 Nothing says love like recycled rubber. 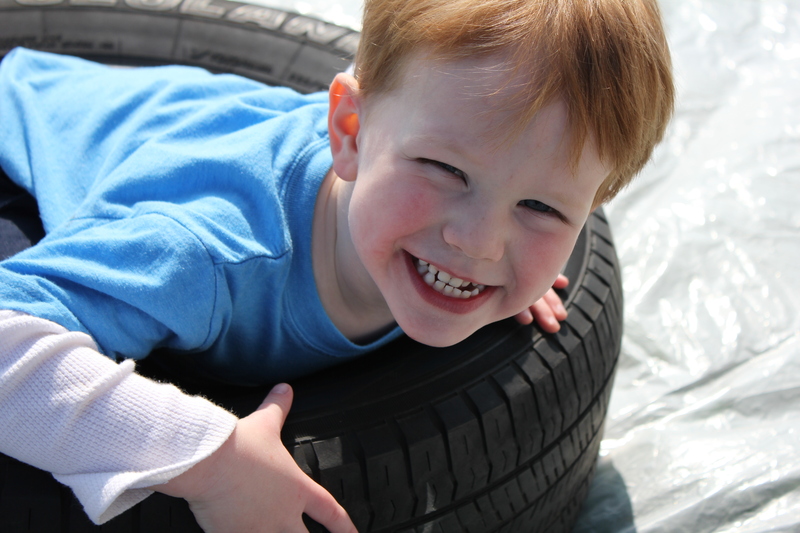 He had stopped by a local tire shop and was so proud to come home with a tire that he thought would make the perfect swing. And the good news just kept coming. Because they have to pay to get rid of old tires they were happy to have us take one off their hands for free. Free! 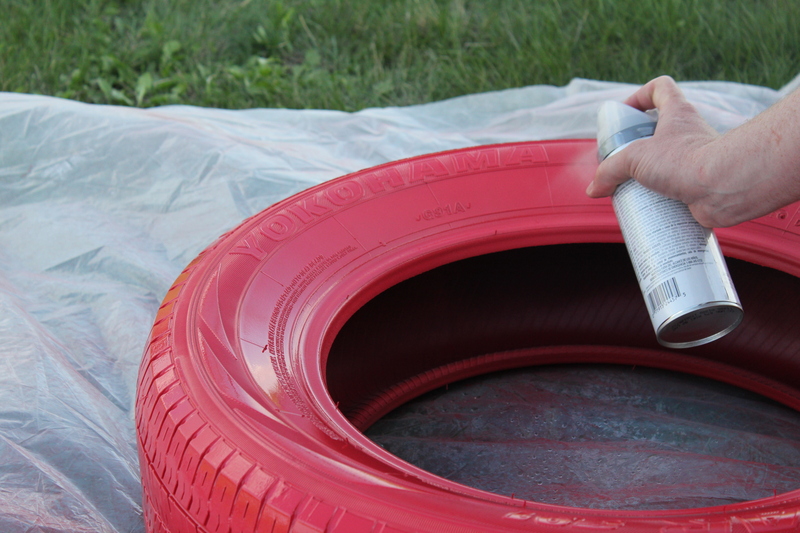 After giving the tire a good scrub and letting it dry, we decided to paint it for a couple of reasons. 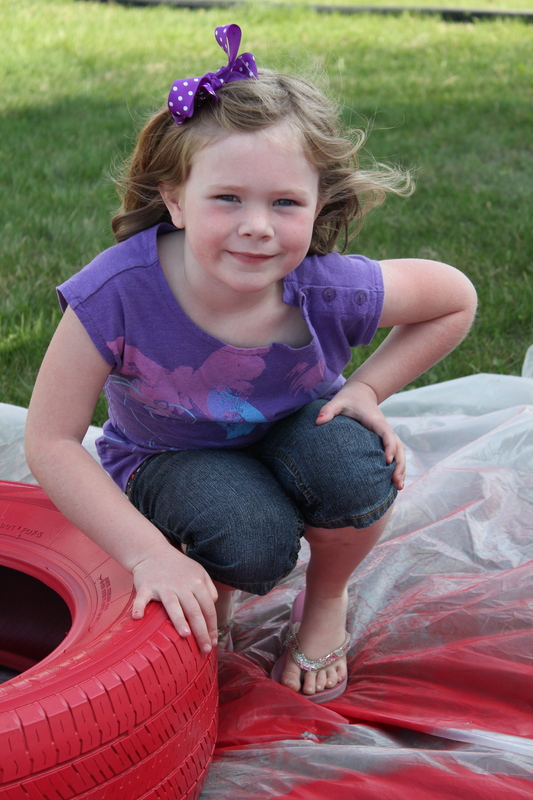 Reason #1: We read that the residue from the tire and the rubbery smell is hard to get rid of, especially from your children’s clothes. Black streaks on their wardrobe didn’t seem awesome. Reason #2: It is just so much prettier. 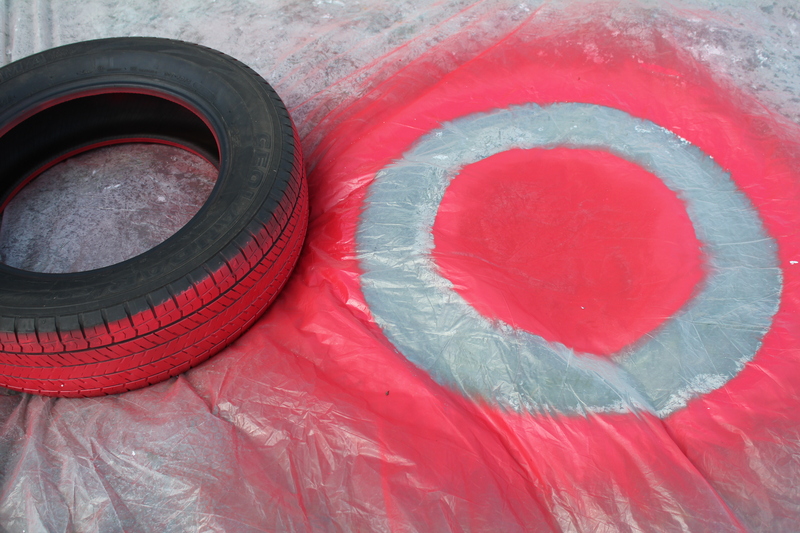 Then before you begin painting be certain to scream like this, “AAAAAHHHHHHHHHHHHHHHHHHH!” when you realize a snake (that oddly happens to have a red streak on it that matches your spray paint color) has come to see what all this tire swing fuss is about. 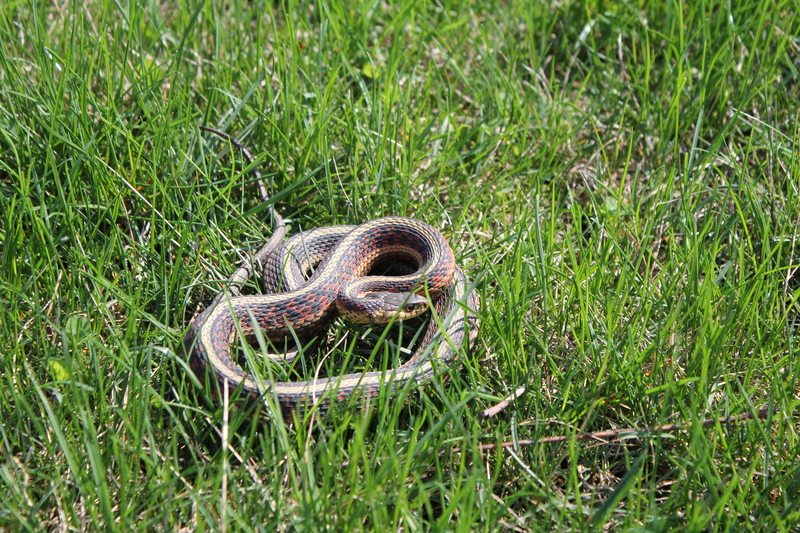 My brave bevy finding the snake a new home in the nearby field. 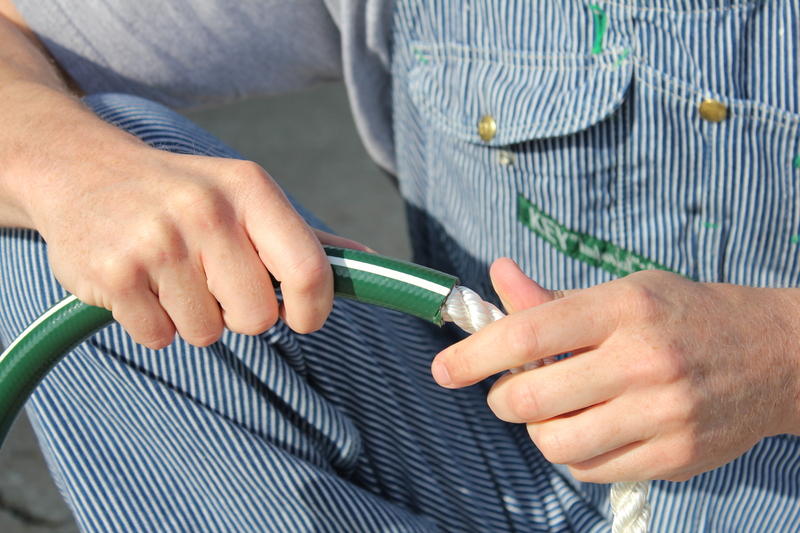 And we’re back…Spray the tire in thin, even strokes and never stop waving that spraying arm. Let it dry completely and then flip and repeat. Make sure your inadvertently give Target free advertising. 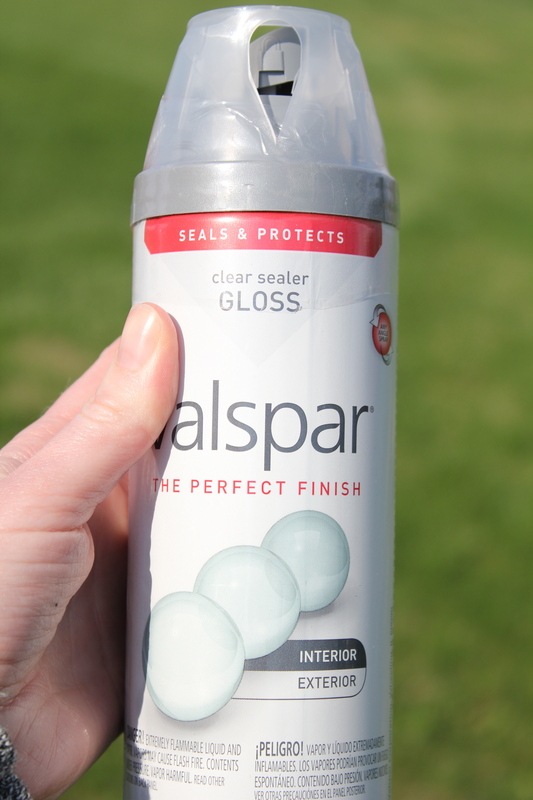 …we opted to top our tire with a layer of clear sealer gloss. We picked a nice and thick cotton white rope to hang our tire. We bought a few feet extra just in case our measuring wasn’t perfect (we are not accomplished tire swing installers) and opted to leave it because we found it made for a nice steering wheel of sorts. 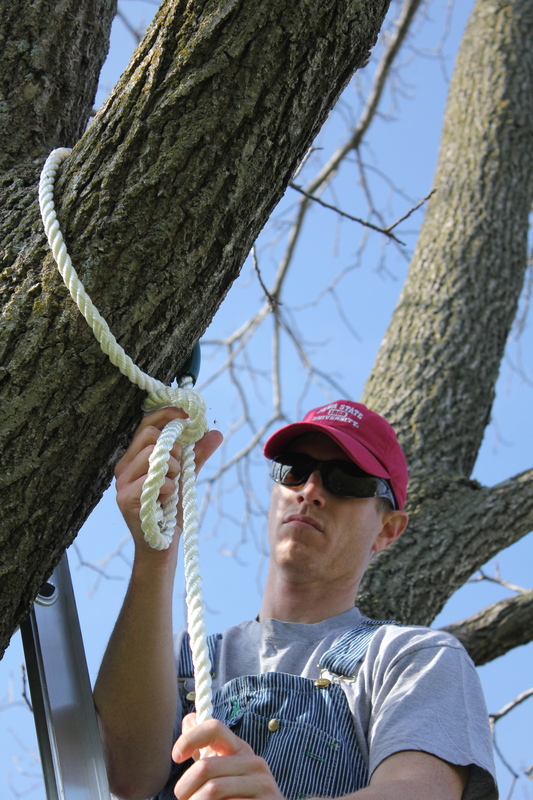 We cut a piece of rubber hose and threaded the part of our rope that makes contact with the tree through it. This should help protect our glorious walnut tree. Beau channeled his inner Boy Scout and tied a knot that would hold all of our riders…small and not-so-small alike. He opted for a hangman’s noose knot. It sounds so dangerous and I think I actually asked if it was legal. I am a shameless rule follower. But Beau informed me that yes it is legal (Whew!) and he chose it because as weight and pressure is applied the knot tightens on itself. And that’s a good thing. 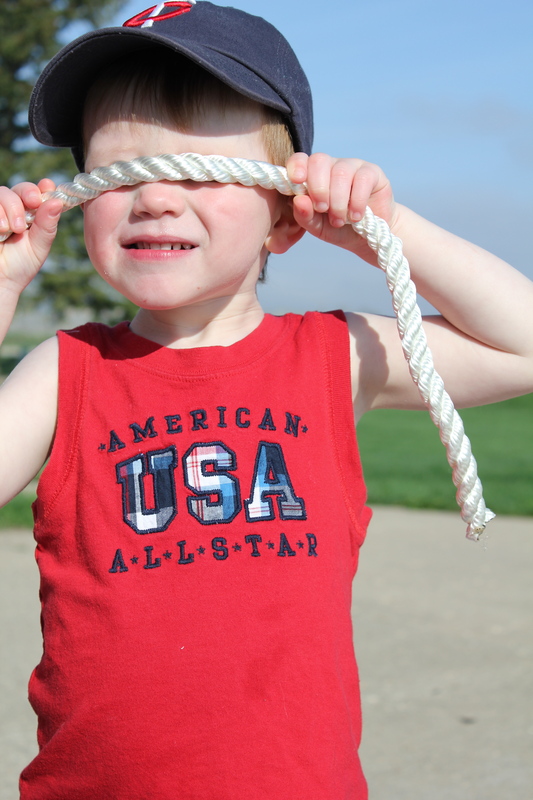 Confidant in his work, the hubs put all of his manliness on the line and swung on the newly installed rope to test the strength of his knot. And just for good measure, Beaut.one took the rope for a spin too. Clearly, we are very concerned about safety around this joint. 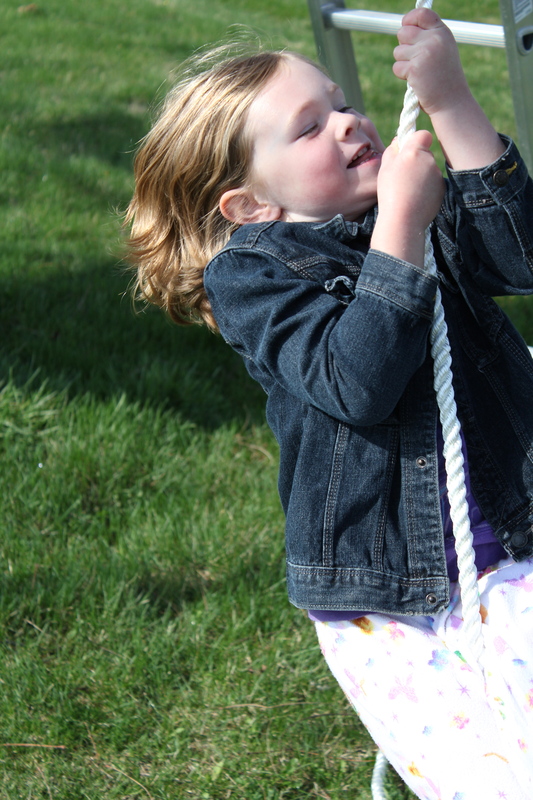 Once we stopped playing with just the hanging rope we got back to the business of the tire part of the tire swing. 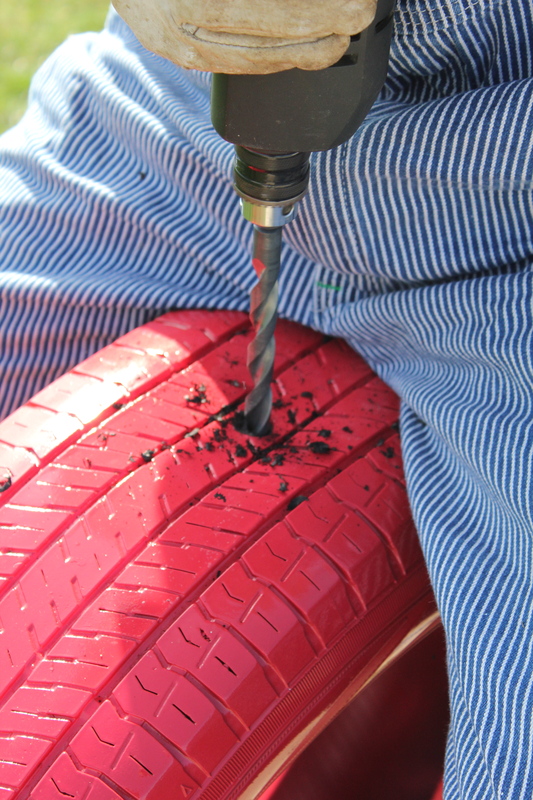 It is very important that you drill a few holes in the bottom of the tire to allow rain water to drain out. You don’t want stagnant water and mosquitoes finding a new home in your swing. Don’t wait to do this until the end like we did. I would recommend drilling the holes before you paint. Ah, you live and you learn. And then hang that baby. And then stand back and stare at your craftsmanship, your painting skills and your somewhat ominous, yet definitely effective, knotting awesomeness. And then watch those you love laugh and giggle while they ride! And then see glimpses of yourself as a child in your sweet beauty and cry a few happy tears. Too much? I should have probably quit at laughter and giggling above. 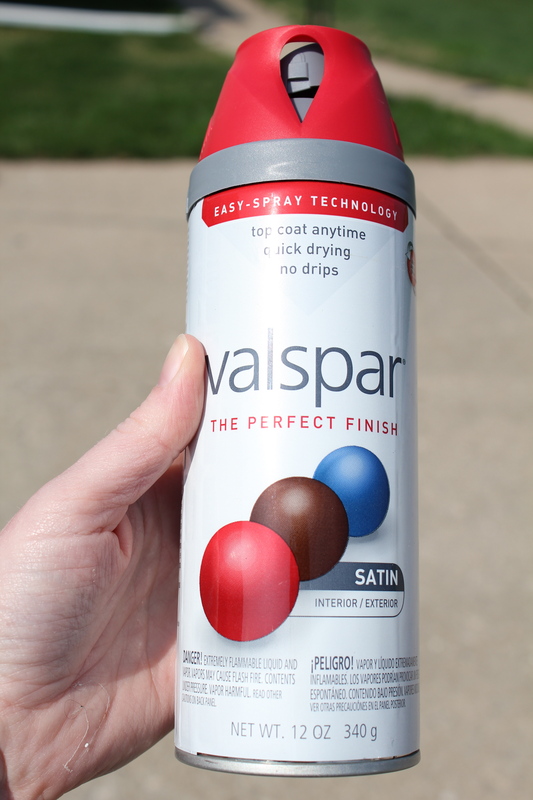 Love the paint…..just curious…did the paint rub or flake off? We are going to paint some for our pumpkin patch and just wondered. Thanks! Thanks for stopping by! 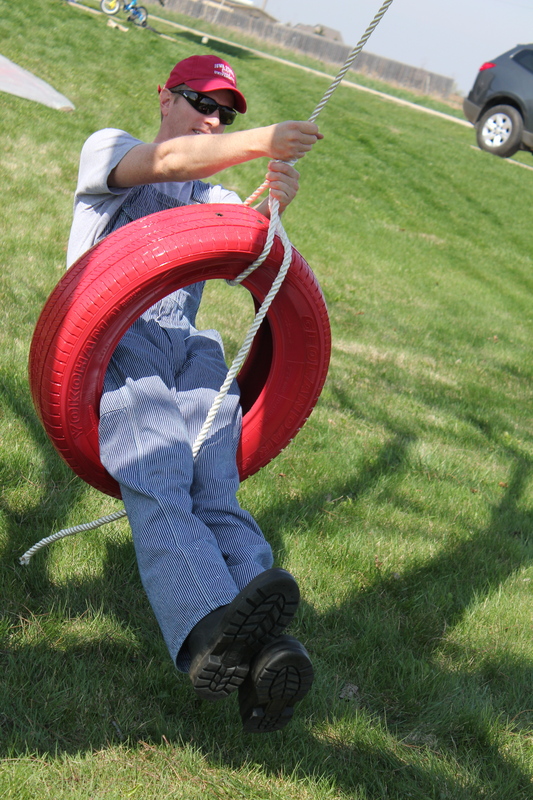 We have been really happy with our painted tire swing. The paint has held up pretty well but there has definitely been some ‘high contact’ spots that have had some paint rub off. 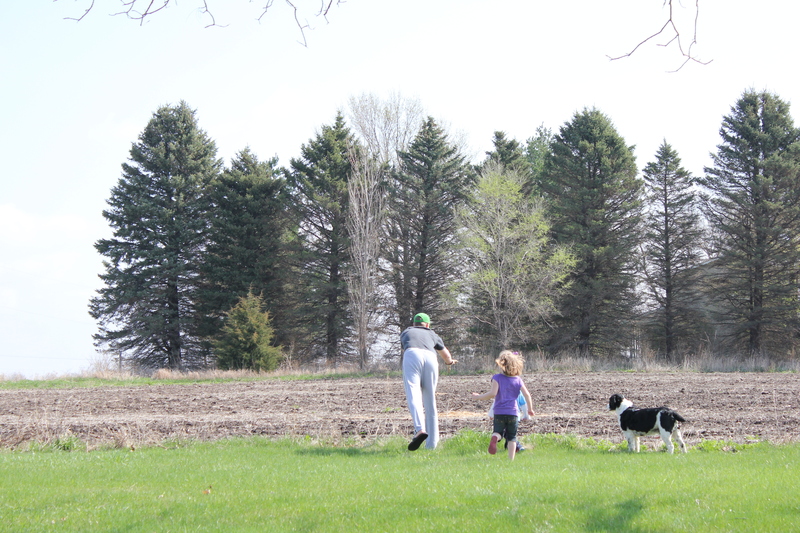 We will likely have to touch up the swing each spring but we feel it is totally worth it. Then again our swing won’t experience the high traffic like yours will at the pumpkin patch. Wishing you and your patch a very successful year! I’m glad I came across your site. 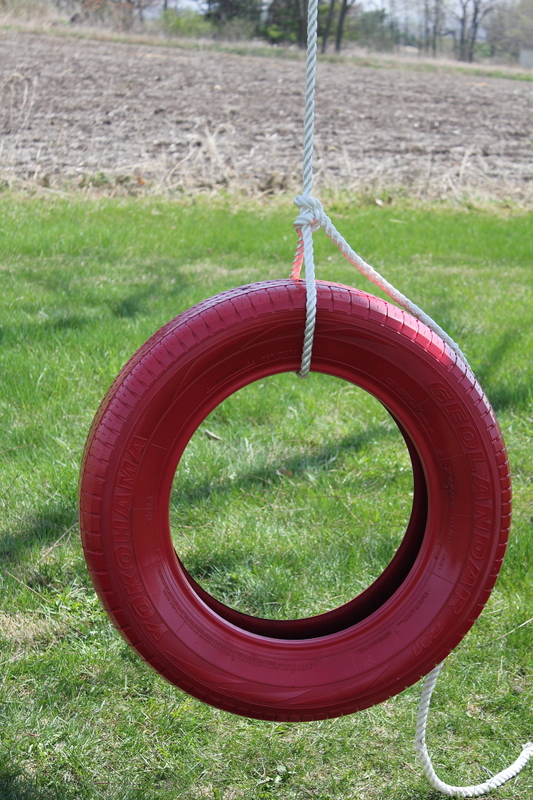 I’ve been wanting to hang a tire swing for my grandkids, but wasn’t thrilled with having them black afterwords. I love your instructions, however, mine would include running like I was on fire after seeing the snake. 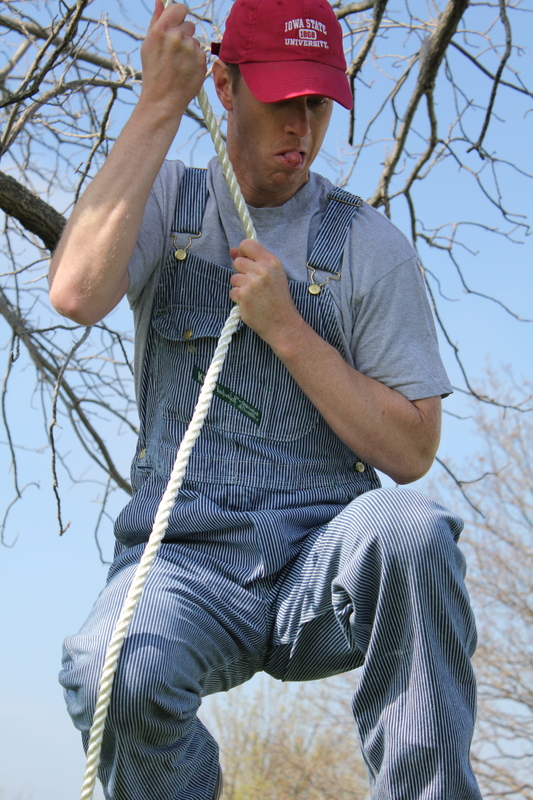 I think the only change I’ll make, is instead of tying the rope to the tire, I’m going to use an eye-bolt and washer. I’m so excited, I can’t wait to do this. Hey, I’m having a problem. When I drilled the drain holes in my tires, I discovered they have little metal wires (the steel belts perhaps??). I can’t get a clean hole, and those little wires act as a filter and catch the leaves and dirt so the water won’t drain out (one of the tires was from my garden and already had water in it). Did you have this problem, and if so, how did you correct it? Many apologies for not getting back to you sooner. I have been technology-free most of the summer. Yes, we did encounter some little metal wires in the tire. We just drilled bigger holes in the bottom of the tire with a metal drill bit and have had no drainage problems. Hope this helps! Thanks for the reply. The largest drill bit I have is 3/4 inch. That didn’t cut it (pun intended). I abandoned the tire swing and went back to my original idea of a wooden swing. After drilling the hose I inserted a small tube to keep the hole open, worked great!